As 2018 finally comes to a close, we're looking back at some of the biggest stories of the year and how they were covered at GPFans. Kimi Raikkonen's United States Grand Prix victory was memorable as the Finn ended a record wait for his 21st race win. Matthew Scott took a look at what happened in the intervening period. It only took five years and seven months, but Kimi Raikkonen can call himself a race winner once again! The Iceman secured victory at the United States Grand Prix on Sunday to snap an incredible stretch of 113 races without victory. 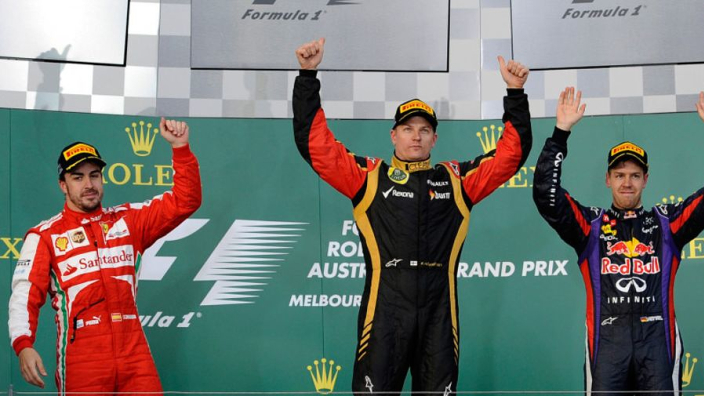 The 2013 Australian Grand Prix, which Raikkonen won for Lotus, stood as his last trip to the top step of the podium before Sunday's success at COTA. Much has changed since then: Raikkonen's team, the ownership of F1 and a set of engine regulations which helped Mercedes dominate much of the time in between. Yes, only seven! There have been 115 grands prix since Raikkonen's last win (he missed the final two races of the 2013 season) but they have been shared between Sebastian Vettel, Fernando Alonso, Nico Rosberg, Lewis Hamilton, Daniel Ricciardo, Max Verstappen and Valtteri Bottas. Hamilton has won 50 of those races, including six of the previous seven to close on title number five. The two finest footballers on the planet know all about relentless success. 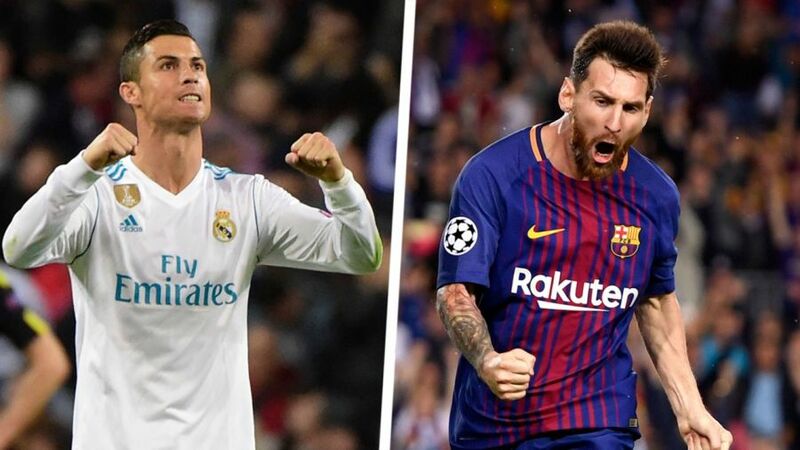 Ronaldo has outscored Messi 306 to 269 for club and country since August 18, 2013 an enormous tally of 575 between them. In that time, Ronaldo has won four Champions Leagues with Real Madrid, Euro 2016 with Portugal and four Ballons d'Or awards. Messi took the other Ballon d'Or in that time, while also securing a treble with Barcelona in 2015, winning four more league titles and captaining Argentina to the World Cup final. Donald J Trump was sworn in as the 45th President of the United States in January 2017. He proved his worth for office by building lots of tastefully decorated buildings all over the world, playing lots of golf and telling people they were fired on television. The population of Planet Earth is over 7.5 BILLION. In the time since Raikkonen's Melbourne triumph, it's estimated about 700 million babies were born. Floyd Mayweather Jr defended his honour, pride and carefully protected zero against Conor McGregor - a man who had never previously stepped foot into a boxing ring in a professional capacity. OK, the Irishman was a record-breaking champion in UFC, but the expectations were pretty low for this bout. Now vaping was definitely already happening before Kimi's win but every third person walking down the street of every city wasn't doing it like they seemingly are now. The smells of bubblegum, tropical fruits and hmmm... was that cola? just make for a great shopping trip. And the battery life on every single one of them was absolutely rubbish. No messin'! Rosberg was in a hurry to get his career sorted and packed everything in at the age of 31 - seven years younger than Raikkonen is right now. No film has grossed more at the Box Office than the last two offerings of the Star Wars franchise during Kimi's win drought. Despite everyone's apparent opinion to the contrary, we reckon Kylo Ren is a pretty good character. Just two years ago, in fact, Tom Brady led the New England Patriots from a 25-point deficit to glory against the Atlanta Falcons at Super Bowl LI. The game made even more history as it was the first Super Bowl to be decided in overtime. Last year's Super Bowl was another record-breaker involving the Patriots - and Justin Timberlake managed to do the half-time show without exposing anyone. Result! In April 2013, Netflix's 36.3 million subscribers were all mainly in the US. Today that figure tops 125m of us enjoying films and shows like House of Cards, Orange is the New Black and many, many, many, many more. Netflix's success has completely revolutionised how people consume video media. Need proof? F1 launching their own live streaming service, available on many of the platforms that Netflix has made home, ought to show you that the future lies here. AND, FINALLY, KIMI RAIKKONEN ENDED A HUGE DROUGHT IN F1!